Do you wish to explore nature at its best this holiday season? Planning to travel to a destination that still preserves its traditional heritage? Desperately looking for a break from the fast life of the cities and relish a few days in the lap of nature? Opting for an affordable Bhutan holiday package can be the key to a memorable travel experience! Popularly known as the land of thunder dragon, Bhutan is a sovereign country situated near the eastern part of the majestic Himalayas. Every year thousands of tourists come to visit Bhutan from various parts of the world for its unrivalled scenic beauty, stunning landscapes, colourful festivals and ancient temples. Furthermore, the possibility of experiencing thrilling adventure makes Bhutan the place to be for every kind of tourist. Booking Bhutan tour packages should thus be a key consideration for every explorer. Below are a few reasons which emphasise why touring Bhutan can be an experience of a lifetime! The treks of Bhutan take tourists through exhilarating and physically challenging routes which include crossing snow and high mountain passes. While trekking, you will be able to witness the pristine natural beauty and even come in close contact with friendly farmers and hardworking highlanders. Bhutan boasts of an amazing wildlife. The Phobjikha Valley is a beautiful place to visit for people interested in exploring nature and bird-watching. The place is known for inspiring mountains and the endless flat Bamboo fields. The valley is home to the Black-necked Crane, one of the rarest crane species all over the world. 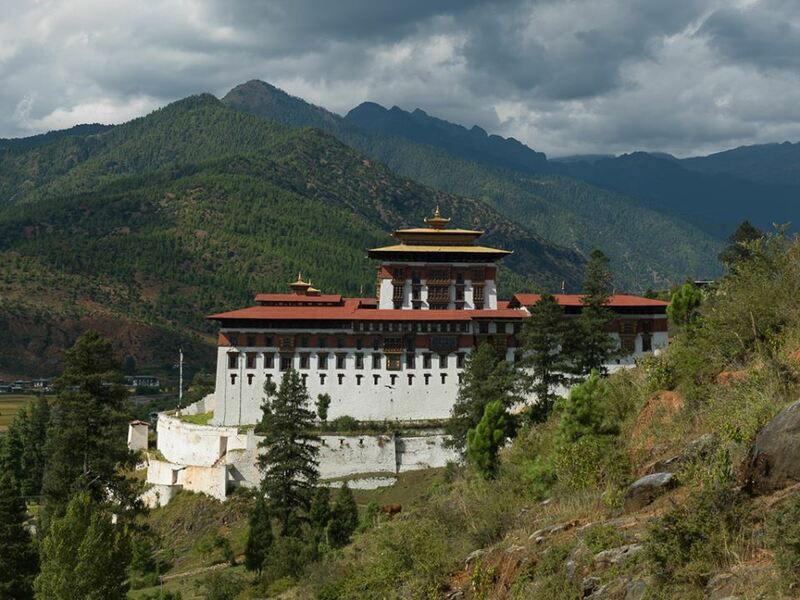 The rich history of Bhutan dates back to the time when Tibetan Buddhism was introduced. Since the people here are followers of Buddhism, you will be able to find numerous Tibetan style historical monuments. The Paro Taktsang, also known as The Tiger’ Nest is one of the most famous monuments here. It is country which is driven by very interesting culture beliefs. The unique characteristic which makes the Bhutanese cuisine distinct is its spiciness. Bhutan is perhaps the only country where chilly is considered as a vegetable and not as an item for seasoning. Even “ema-datshi”, the national dish of Bhutan is prepared with cheese stew and chilli which is served with rice. By choosing all-inclusive Bhutan tour packages, you can even try out the Tibetan style dumplings which are stuffed with beef, pork or cheese and cabbages. The reason why Bhutan should definitely be on your travel bucket list is that a Bhutan trip can experience you something which no other place can. There is much more to Bhutan than just delicious food or stunning natural beauty. Be it the local people still wearing their traditional attire, the visionary Gross National Happiness Index or the numerous quirky things, Bhutan is indeed a place which is unlike any other tourist destination. Now, don’t you think that planning a trip to Bhutan can indeed be an unforgettable experience? Quickly approach a leading travel agency and book the ideal Bhutan holiday package!